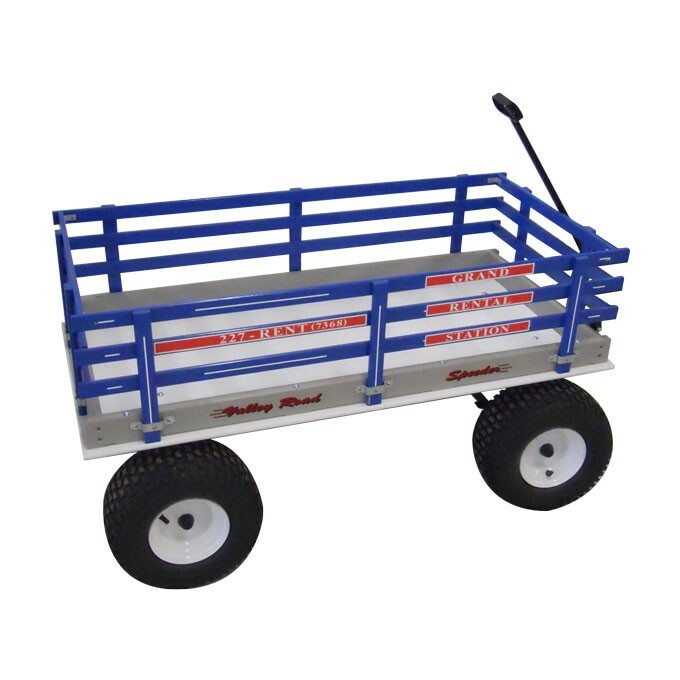 Load the chairs, cooler, toys and more into this large 24" x 48" wagon and pull it onto the beach. It has 13.5" flotation tires and an extra long handle for easy adult pulling. A cooler rack for the back of the wagon can be reserved separately. We have seen the kids being pulled along the boardwalk at night too. 13.5" floatation tires make it easy to pull on the beach. Specially made for us by our Amish friend Jacob and his boys in Lancaster, Pa.